Dinesh Chopra is the Chief Strategy Officer of Ally Financial. In this role, Chopra leads Ally's Corporate Strategy team, responsible for developing and executing business strategies that foster product and enterprise growth, and further Ally’s position as a leader in digital financial services. Chopra is also responsible for Ally’s corporate development activities and Ally Ventures, including strategic alliances and identifying and acquiring companies and technologies that align with its strategic plans. Prior to joining Ally, Chopra served as global head of Strategy, Retail Bank, Mortgage, Fintech & Digital Payments at Citigroup, responsible for leading strategic planning and improving performance for the related lines of business. While at Citigroup, he oversaw many transformation efforts including driving client growth, accelerating digital agenda, and expanding profitability. Prior to Citigroup, he held several leadership positions in strategy and banking at Capital One and McKinsey & Company. 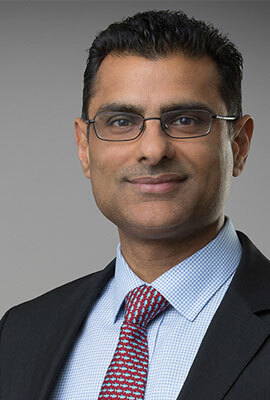 He began his career in engineering at Micron Technology, Inc.
Chopra holds an MBA from MIT’s Sloan School of Management; a master’s degree in Chemical Engineering from Clarkson University in Potsdam, NY; and a bachelor’s degree from the National Institute of Technology in Trichy, India.